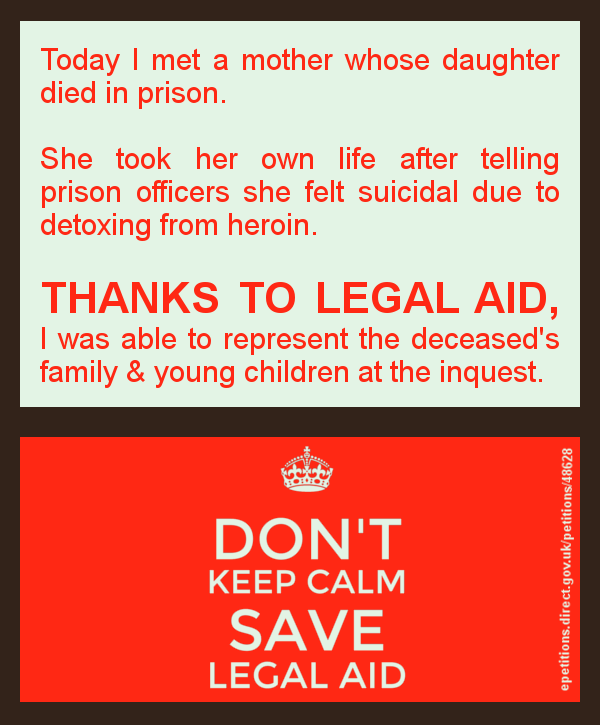 THANKS TO LEGAL AID, I was able to support a family when their daughter committed suicide in prison. 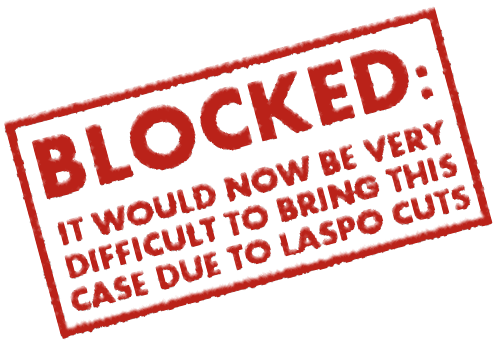 This entry was posted in Clients with mental health problems, Prison law and tagged cuts to legal aid, Legal aid, save legal aid, save UK justice by thanks2legalaid. Bookmark the permalink.